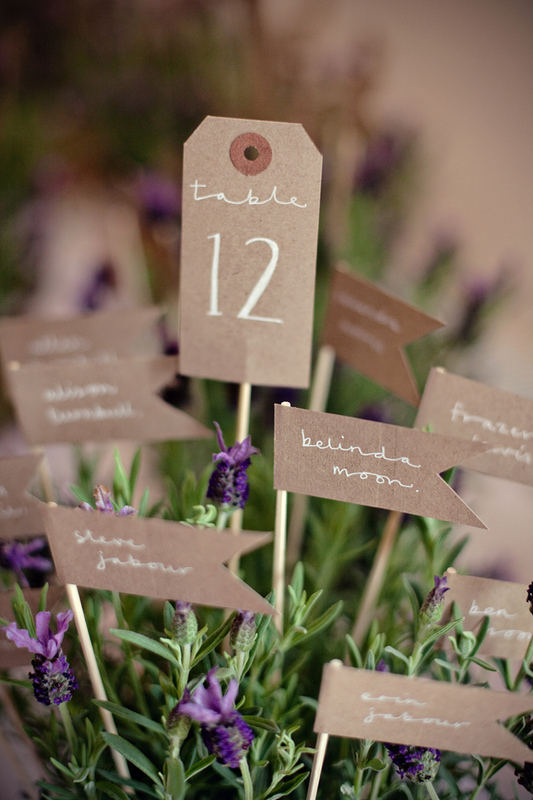 These table assignments that are stuck in pots of lavender are such a pretty way to display the names. The pots are so simple but creative, and they smell good! 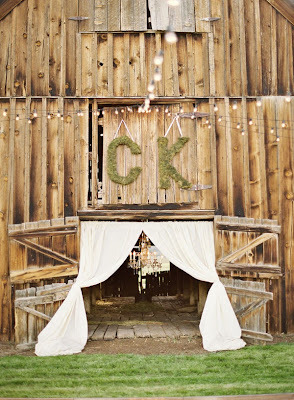 Yesterday, our design team worked on ideas for Hannon's fall wedding. We love the contrast of the white curtains against this rustic barn, and the big letters in moss are such a cute way to incorporate the couple's initials.